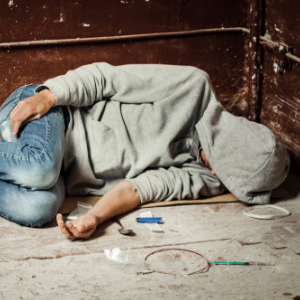 The Marchman Act, officially the Hal S. Marchman Alcohol and Other Drug Services Act, concerns the voluntary or involuntary admission of an individual into a treatment facility for issues pertaining to chemical dependence or substance abuse. The Marchman Act is enshrined in Florida Statute 397 and allows family members, medical professionals, law enforcement officers, and certain other individuals the right to petition for the mandatory assessment and treatment of those who are deemed to be incapacitated and unable to make rational decisions for themselves about drug or alcohol treatment. How Does the Marchman Act Differ from the Baker Act? The Marchman Act, while similar to the Baker Act in scope, differs in intent. While the Marchman Act is primarily intended for issues relating to chemical dependence or substance abuse, the Baker Act is geared more towards mental health issues. In addition, the Baker act only allows an individual to be held for evaluation for up to 72 hours if there is the risk of harm present, whereas the Marchman Act is used for an initial assessment and treatment between five and 60 days. A voluntary admission under the Marchman Act is when an individual who believes that they need help for substance abuse or a chemical dependence issue, voluntarily applies to a service provider for treatment. A voluntary admission is for those who need treatment for an addiction, but lack the necessary funds to privately pay for such services. The Marchman Act also provides provisions for the involuntary admission of an individual for treatment, provided it is determined that there is good reason to believe that, due to the individual’s substance abuse issues, they are impaired and have lost the ability of self-control and are at risk of harming themselves or others. “A person determined by the court to appear to meet the criteria for involuntary admission under s. 397.675 may be admitted for a period of 5 days to a hospital or to a licensed detoxification facility or addictions receiving facility, for involuntary assessment and stabilization or to a less restrictive component of a licensed service provider for assessment only upon entry of a court order or upon receipt by the licensed service provider of a petition. Involuntary assessment and stabilization may be initiated by the submission of a petition to the court. (1) If the person upon whose behalf the petition is being filed is an adult, a petition for involuntary assessment and stabilization may be filed by the respondent’s spouse or legal guardian, any relative, a private practitioner, the director of a licensed service provider or the director’s designee, or an adult who has direct personal knowledge of the respondent’s substance abuse impairment. Who Can File a Marchman Act Petition? The individual’s spouse or guardian. A relative of the individual. The director of, or a director’s designee, of a licensed facility. Any three adults who have personal knowledge of the individual’s situation and impairment. In the case of a minor, the minor’s parent, legal custodian or guardian, or a licensed facility director may file a petition for involuntary admission. Those seeking to file a Petition for Assessment or Treatment for an individual in Broward County must go to the office of the Clerk of the Courts and complete the forms in person. The petition will be reviewed by a circuit court judge, who will decide if the individual must comply with the petition for treatment. If the respondent fails to comply with a court order, they may be held in contempt of court and could face additional penalties. While the law does not require an attorney to file a Petition for Assessment or Treatment in Broward County, consulting with an experienced lawyer is strongly advised. An experienced Marchman Act attorney can help guide you through the petition process and explain all the nuances so that your loved one can receive the treatment they so desperately need. Of the 20 million Americans abusing drugs, there are only about 2 million people seeking and receiving treatment for their addiction. The Marchman Act is an important tool in the War on drugs and can help save the lives of those who are nearest and dearest to us. If you need assistance with the Marchman Act, Broward Criminal Law is here with all of your legal needs. Call today at (954) 462-1005 for a free consultation.